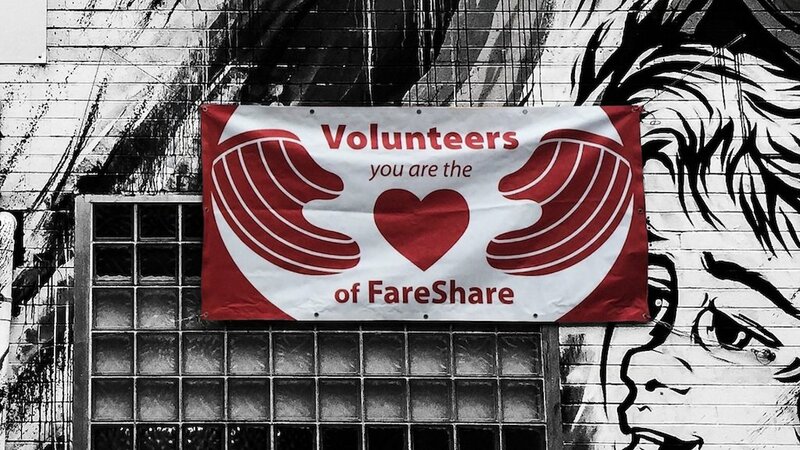 On the eve of National Volunteer Week, FareShare has paid tribute to the thousands of people who volunteer each year with a video (see above). FareShare rescues surplus food and cooks 5000 free, nutritious meals a day for charities with the support of 750 regular volunteers. 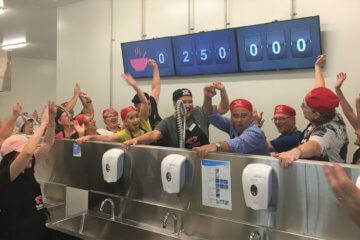 Another 3000 secondary students and 3000 corporate volunteers help out in our kitchen each year. “Volunteers are the heart of FareShare,” said CEO Marcus Godinho. “With our ratio of 50 regular volunteers to every staff member, we couldn’t exist without them. 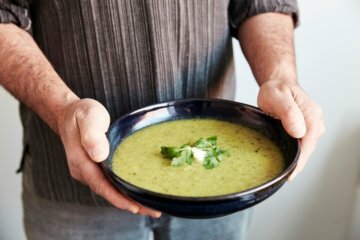 From the time we set out baking a few hundred pies a week, to cooking more than one million meals a year today, we have been entirely dependent upon volunteers. They include people at all stages of life – from students to retirees – with the majority finding time around their employment arrangements. Nearly two thirds also volunteer with other organisations. 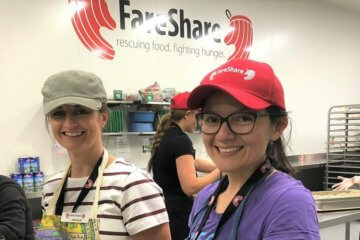 Overall more than 99 per cent said they would recommend volunteering at FareShare where there are currently 350 people on the waiting list for kitchen shifts.